The fact that this guide even exists is a downright shame, but that's neither here nor there. The truth of the matter is the iPhone 7 and 7 Plus don't have 3.5 mm headphone jacks, and since they use the Lightning connector to output audio, it's hard to charge your phone while your headphones are plugged in. Notice I said "hard" and not "impossible." That's because new adapters are cropping up that will allow you to plug your iPhone into the wall while you're listening to music, watching a movie, or playing a loud game, so we already have some options. They're a bit cumbersome, but it's the only way to get this functionality without Bluetooth headphones, so we'll go over the best solutions available. The simplest options for simultaneous charging and listening are splitter cables that add an extra port to your iPhone 7. 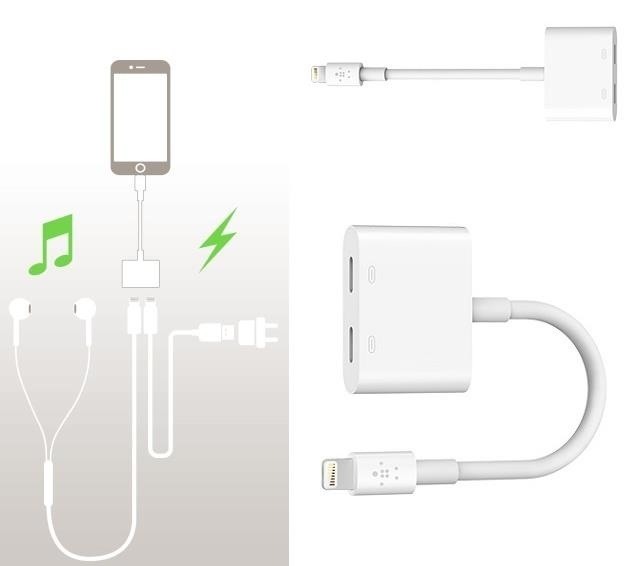 One end will plug into the Lightning port on the bottom of your phone, then the other end will have places to plug in a charger and a pair of headphones. The least bulky option here is the 2 in 1 Lightning Adapter by VR Hero. This simple splitter works with traditional mini-jack headphones, so it's not an option if you're committed to the new Lightning-style EarPods that were included with the iPhone 7. But it will allow you to plug your charging cable into one port, then a set of regular headphones or earbuds into the second port. 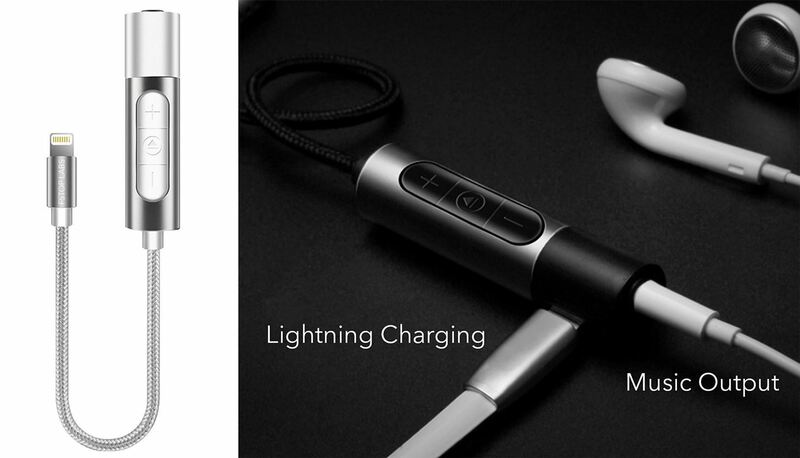 After that, we have the Lightning to 3.5 mm Power Audio Charge by FStop Labs. This one is a bit bulkier than the previous option, but it has a premium braided cable and music playback controls built in. Aside from that, it functions just the same as the Canada Prime cable, so you can plug your charger into one port, then connect traditional, mini-jack headphones or earbuds to the other port. 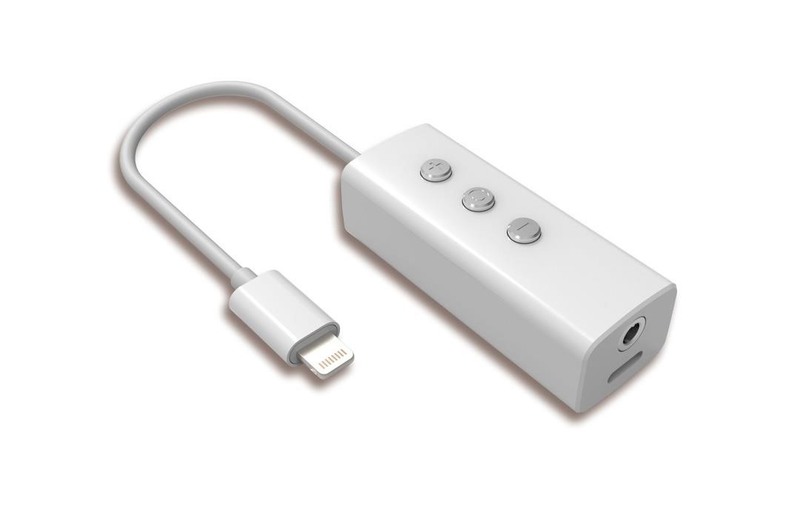 Next up is Belkin's Lightning Audio + Charge RockStar, which will cost $39.99. You simply plug one end into your iPhone, then plug your power cable into one of the two slots on the dongle. That leaves just enough room to plug in the Lightning EarPods that were included with your iPhone 7 so that you can listen to music when your battery is low. For a final splitter solution, consider the TSH01JC from Tama Electric. 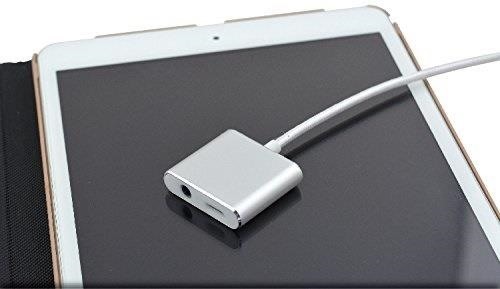 It's a dongle similar to Belkin's offering above, but it allows you to connect regular 3.5 mm headphones while you charge. Pricing and availability is still unknown at this time, but it should start shipping soon. The next option is less portable and more expensive ($49), but it's available right now, and it's an official Apple product. It's the iPhone Lightning Dock, and it works with a pair of traditional 3.5 mm headphones. Plus, if you already have one that you used with your last iPhone, it is already compatible with the iPhone 7 models, so you're all set. Just plug your regular iPhone charger into the base, then attach a pair of headphones to the adjacent port. Then, when you plug your iPhone 7 (with or without its case) into the dock itself, you'll be able to listen to music while you charge. 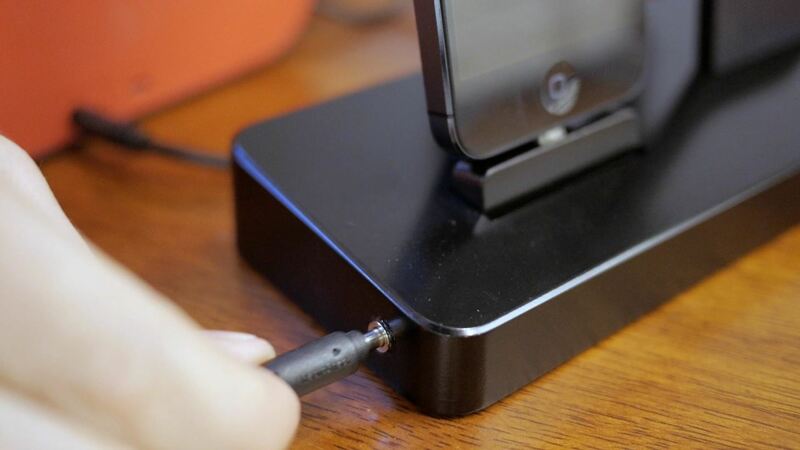 If you have a third-party charging dock that doesn't have a headphones port, you can always do what Instructables user makjosher did and throw one in it (he installed one in his 1byone Apple Watch & iPhone Charging Stand). 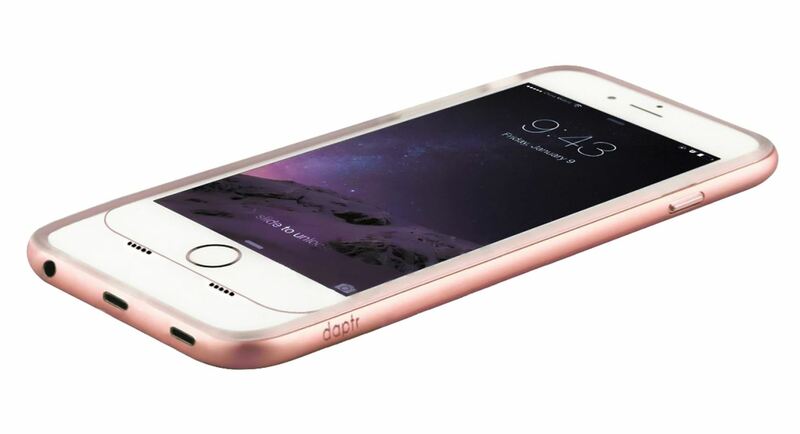 For an all-in-one solution, the upcoming Daptr Case will let you charge and listen to music without having to carry around extra equipment, because this adapter is built directly into a case for your iPhone 7. Not only does the Daptr Case add a 3.5 mm headphone jack, but it also gives you a second Lightning port, so you can use regular headphones or Lightning EarPods, all while charging your phone. The new case will be available in December in a range of colors that will perfectly match the finish on your iPhone 7 or 7 Plus. 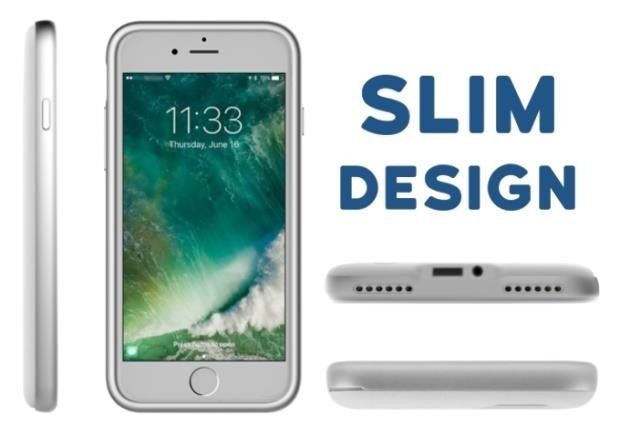 It's a functional case, so it will add 3 mm to the width of your device for shock absorption, but the adapters on the bottom will also add 20 mm to the overall height. If you think two Lightning ports are excessive, there's also the Fuze case, which is currently funding its project on Indiegogo. Aside from adding the headphones jack back, you'll also get an extended battery for more power throughout your day. These cases also have a December ship date. I know, a computer sounds like the clunkiest option of all, but hear me out. 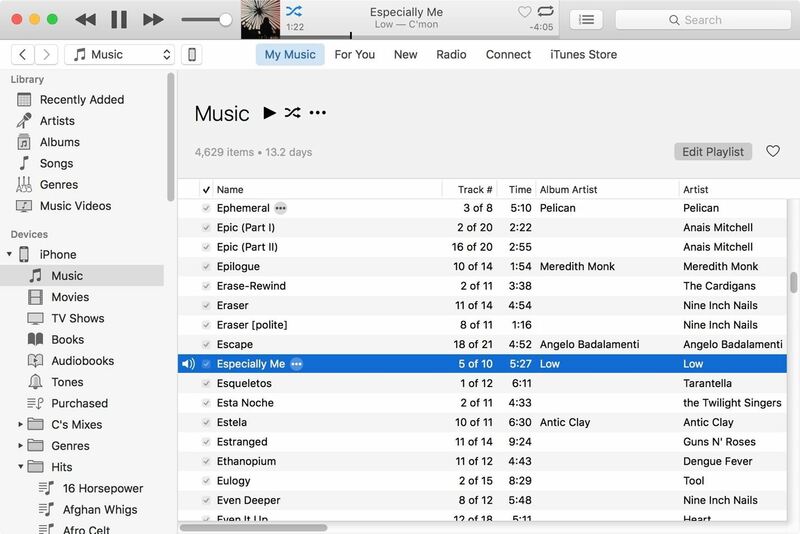 If you're at work or on a computer at school, and just want to listen to your music library on your iPhone, just plug it in, open up iTunes, and select your iPhone from the side menu. You can then play songs or playlists through iTunes and listen via your computer's headphone jack while your iPhone charges. If we find any better options, we'll make sure to update this article with new links—but if you have a solution that we didn't mention here, we'd love to hear about it in the comment section below. I'm not even a Iphone user and I f*king hate this.